PLAY SEASON 2 EPISODE 21 AT HOME! 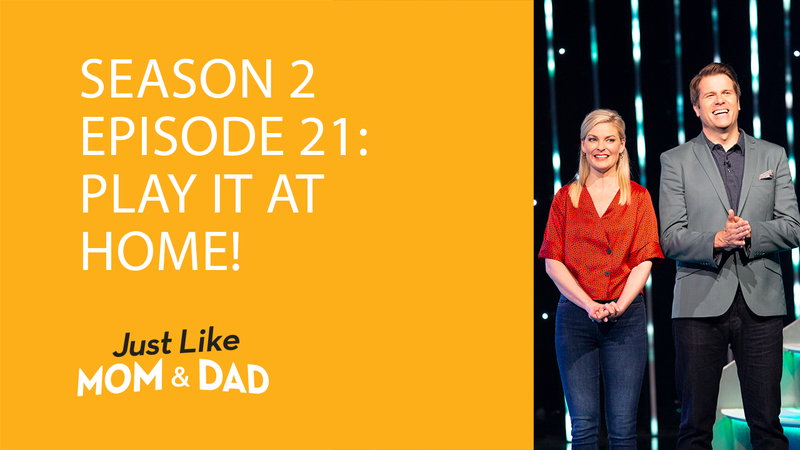 Episode 21 of Just Like Mom and Dad aired last night, and we're excited to give you everything you need to play this fun-filled family game in the comfort of your own home! What’s something you do that really annoys your parent? What is your parent’s favorite movie? If your parent were given $1000 to spend on any one item, what item would it be? What would your parent say is the biggest difference between you and your siblings? What is the one thing your parent does to relieve stress? If your parent could only drink one beverage other than water for the rest of his or her life, what would it be? What’s the most embarrassing thing you do that your kid wishes you would stop doing? Name a time in which your kid acted particularly silly. What is your kid deathly afraid of? What’s one thing your kid would say he or she could improve on? If your kid could have any superpower, what would it be? What’s one food your kid would eat everyday if he or she could? Preheat oven to 300 degrees F. Line two large baking sheets with parchment paper, lightly spray them with non-stick spray and set aside. In a medium-sized bowl whisk together the flour, cocoa powder, baking powder, and salt; set aside. In a large, microwave-safe bowl, combine the chocolate chips and butter. Heat them in the microwave on low power for 15-second increments, mixing in between each, until butter and chocolate are completely melted and can easily be whisked smooth. Be sure not to overheat or the mixture will seize. Whisk in the vanilla, then whisk in both sugars. Beat in eggs, one at a time, beating well after each addition. Beat in milk. 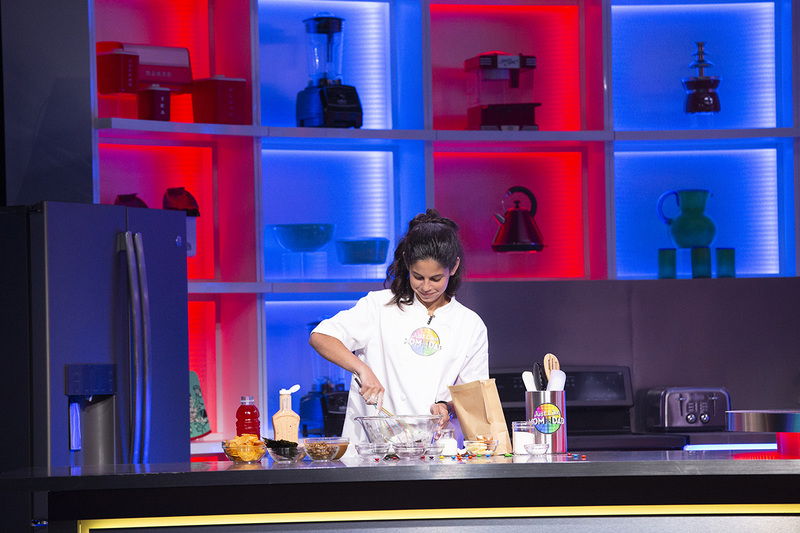 Add the dry ingredients into the wet ingredients, and stir to combine – be sure not to over mix here! Fold in the candies and milk chocolate chips, stirring until everything is just combined. Scoop 1/4 cupfuls of the batter onto the prepared baking sheets. Bake one tray at a time, for 16 to 18 minutes, or until the edges are set and the tops are dark and shiny. 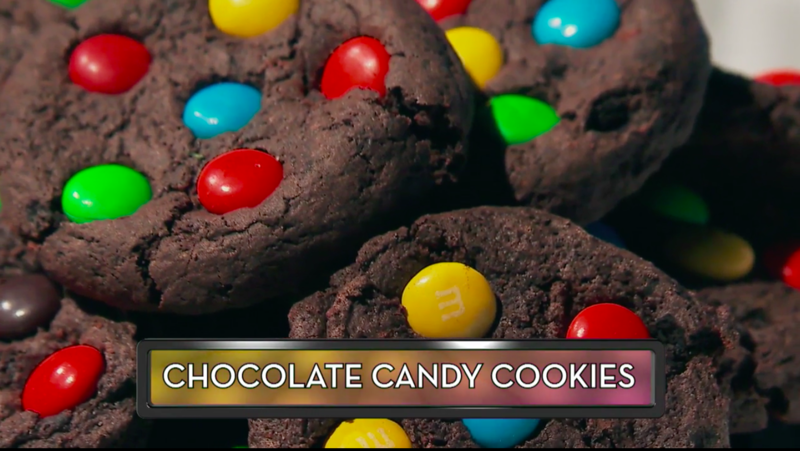 Press a few extra candies and chocolate chips of the warm cookies right when they come out of the oven. Allow cookies to completely cool on the baking sheet before serving. IF YOU MISSED EPISODE 21, WATCH IT BELOW! Next week, we'll have the questions and the recipe from Episode 22. 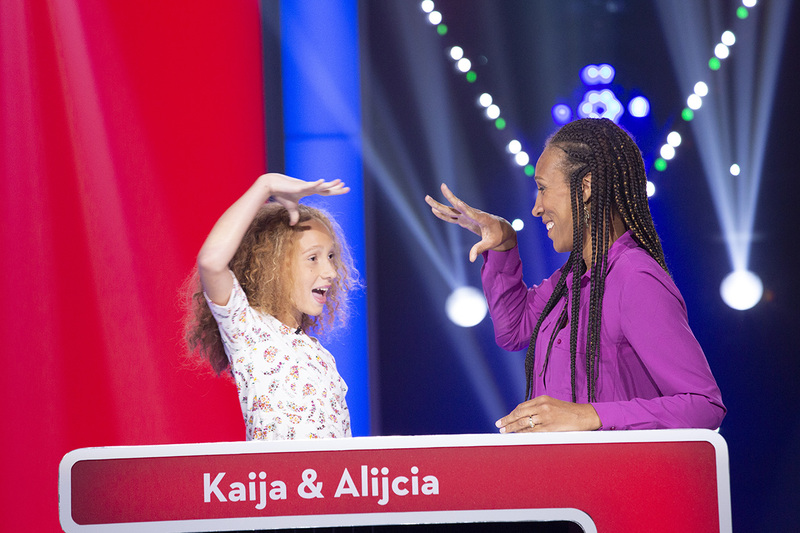 Meanwhile, play Season 2 Episodes 1, 2, 3, 4, 5, 6, 7, 8, 9, 10, 11, 12, 13, 14, 15, 16, 17, 18, 19, 20 and 21 at home, where you can challenge your own family members!